St. Pete community members are working with police to set new guidelines for the upcoming Martin Luther King, Jr. Parade. ST. PETERSBURG, Fla. — Community members are working with police officers to set new guidelines for the upcoming Martin Luther King, Jr. Parade. Last year's parade caused outrage and concern and residents who said police officers took a "militant" approach to what should be a day of celebration. Martin Luther King, Jr. Day is a day of pride and celebration, yet Jabaar Edmond has another word for last year’s festivities. “Problematic. Very problematic,” Edmond said. Videos circulated on social media after the parade showing officers confronting people, particularly over parking. Officers also stood guard at several south St. Pete intersections and cracked down on vendors selling items along the parade route without a permit. St. Pete say the approach was meant to keep people safe, but later apologized for the lack of communication. Maria Scruggs with the NAACP says the event was upsetting. “It looked like a police militia with the level of enforcement, type of enforcement. Just totally inappropriate for a celebration like MLK day,” Scruggs said. Now there are changes set for the 2019 parade and Police Chief Anthony Holloway has worked closely with the community members to find solutions. “We know we are not going to make everyone happy but we are trying to find that spot in the middle,” Holloway said adding that he wants people to enjoy the celebration but also needs to help people who don't like the noise and parking issues that the parade and festivities bring. 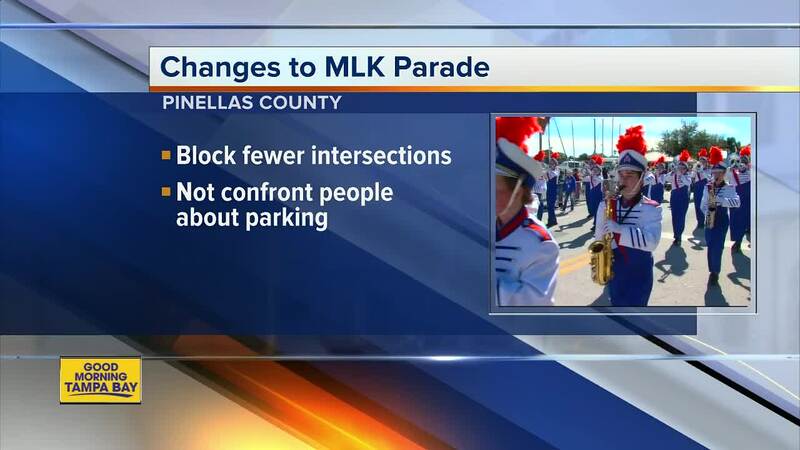 Officers will block off fewer intersections leading up to the parade, allowing people to more easily get to South St. Pete businesses. Officers will no longer confront people about parking, instead responding to complaints only. Officers also allow vendors to sell items on private property, as long as those vendors have the consent of the property owners. Edmond hopes officers approach the parade with an open mind. “Get out, meet your community. Use this as an opportunity to get to know community members,” Edmond added. 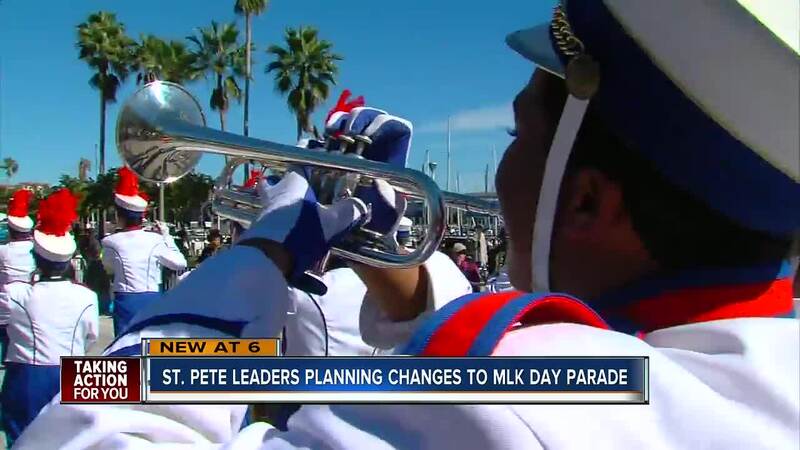 For more information on the MLK Parade, click here .